We’ve decided to celebrate spring this month with an edit that is bursting with fruit-inspired formulas and blooming with flowery fragrances. Our April box includes 5 lusciously-scented products, with an added treat! Better yet, our ‘Fruity or Floral’ edit features two special design boxes. Which one will you receive? For all the insider knowledge you need to make the most of your products, click ‘Read More’ and the product name. You’ll have received five of them, plus one of two possible treats! Thanks to this regenerating sleeping mask, you’ll be waking up with an energised and refreshed complexion every day. Rich in moisturising pomegranate, its all-natural and vegan formula deeply nourishes and hydrates your skin. Apply a thin layer to clean and dry skin before bed, then let the mask work its magic while you sleep. 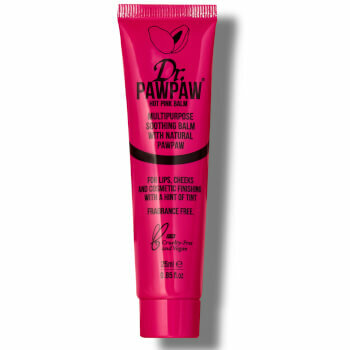 Formulated with moisturising pawpaw fruit, this lip balm boasts the same fruity formula as the Original Balm but with an added on-trend pink tint. It nourishes and hydrates your pout, while adding a touch of colour. 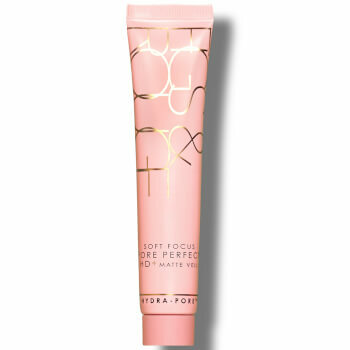 Apply to your lips for a glossy finish, or to your cheeks for a fresh and rosy look. Produced by Jeanne Arthes and bottled in bespoke fruity packaging that matches the design of your box, this perfume boasts a gorgeous exotic and fruity fragrance. 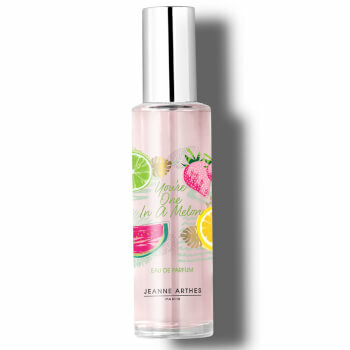 It blends tangerine, blackcurrant and passion fruit with delicate notes of raspberry, peach and apple to create a fresh and feminine scent that will delight your senses. Produced by Jeanne Arthes and bottled in bespoke floral packaging that matches the design of your box, this perfume boasts a gorgeous woody and floral fragrance. It blends soft rose petal and cedarwood with delicate notes of lily, freesia and amber to create a luscious scent that will delight your senses. This weightless, duo action serum fights blemishes and imperfections. Formulated with soothing Oregon grape root extract, it helps reduce the appearance of pores, fight skin impurities and combat breakouts. After you’ve cleansed and moisturised, work this serum across your T-zone area for a perfect matte finish. A clearer and more-balanced complexion awaits! Bursting with a luscious apple and melon scent, this hydrating body wash is a treat for both your skin and your senses. It’s infused with vitamins, antioxidants and moisturising ingredients that nourish and detox your body from the outside in. Better yet, it’s paraben free and vegan. Get ready for happy and healthy-looking skin! 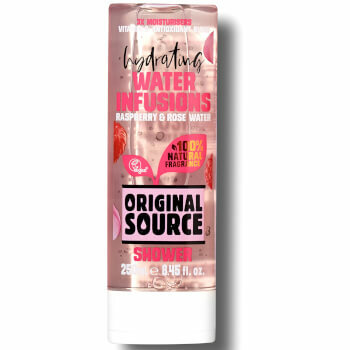 Blooming with a gorgeous raspberry and rose scent, this hydrating body wash is a treat for both your skin and your senses. It’s infused with vitamins, antioxidants and moisturising ingredients that nourish and detox your body from the outside in. Better yet, it’s paraben free and vegan. Get ready for happy and healthy-looking skin! 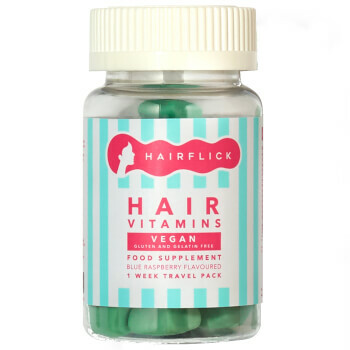 Boasting a complex blend of vitamins and biotin, these delicious, blue raspberry flavoured Hair Vitamins are scientifically formulated to support healthy hair growth. Enjoy two gummies a day and they'll promote the gorgeous locks you’ve always dreamed of. They may even improve your skin and nails too! Loved by professional makeup artists, this makeup remover lifts makeup effortlessly. 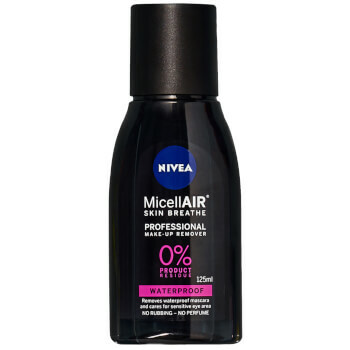 Combining dry oil, black tea and bilberry extracts with Nivea’s unique MicellAIR Complex, there's no need to rub or rinse your skin! Simply soak a cotton pad with the remover, then gently sweep it across your complexion to wipe away long-lasting and waterproof makeup. Blending calming chamomile, soothing Aloe vera and brightening green tea, this gentle cleanser hydrates, nourishes and purifies your skin. Not only does it remove makeup, daily dirt build-up and excess oils, it also helps soften and tighten your complexion. 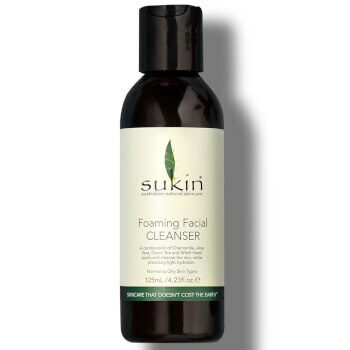 Formulated with rosehip, avocado, sesame and wheat germ oils, this cream cleanser nourishes and hydrates your skin, while also removing makeup and dirt build up. 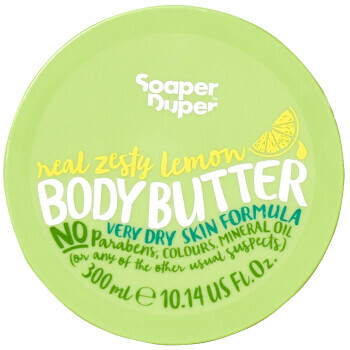 Formulated with 97% naturally derived ingredients including smoothing shea and cocoa butters, hydrating aloe vera and zesty lime and orange oils, this 100% vegan and cruelty-free lemon body butter hydrates and nourishes dry skin. Simply massage it into your body every day for a soft and deeply-moisturised complexion. 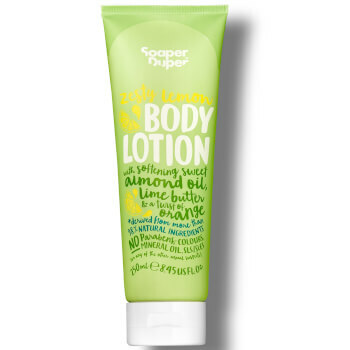 Formulated with 98% naturally derived ingredients including softening sweet almond oil, smoothing lime butter and zesty orange, this 100% vegan and cruelty-free lemon body lotion hydrates and nourishes dry skin. Simply massage a generous amount into slightly damp skin after showering and allow to soak in. 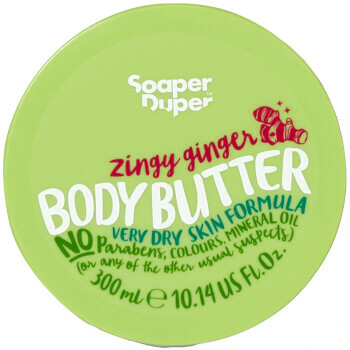 Formulated with 97% naturally derived ingredients including nourishing shea butter and moisturising macadamia oil, this 100% vegan and cruelty-free body butter smooths and hydrates dry skin. Simply massage it into your body every day for a soft and deeply-moisturised complexion. 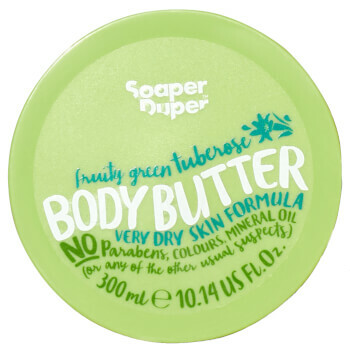 100% vegan and cruelty-free, this body butter is formulated with 97% naturally derived ingredients including nourishing shea butter and moisturising macadamia oil. Simply massage it into your body every day for soft, hydrated and deeply-moisturised skin. 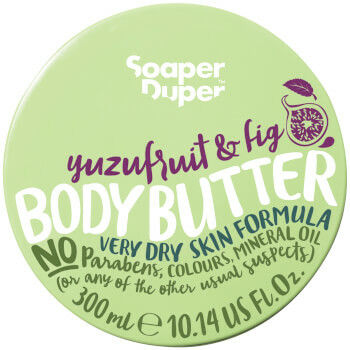 100% vegan and cruelty-free, this fruity body butter is formulated with 97% naturally derived ingredients including nourishing shea butter and moisturising macadamia oil. Massage it into your body every day for soft, hydrated and deeply-moisturised skin. 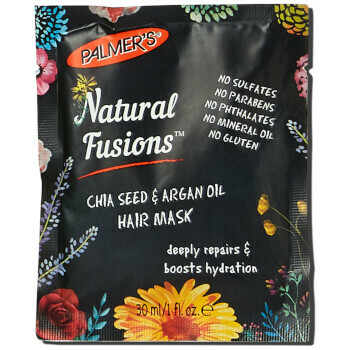 This intensive and deeply conditioning hair mask nourishes dry and damaged locks. It’s formulated with argan oil, which boosts hydration and rejuvenates dull hair, as well as chia seeds which help protect your tresses. Apply to clean and wet hair from root to tips, wait 15 minutes then rinse. Formulated with softening emollient pearls, this pocket-sized hand gel will leave your hands feeling smooth and refreshed. Better yet, it boasts a delicate floral scent that smells divine! Simply squeeze a small amount into your palm, then gently massage into your skin. I never back out of a deal, so of course I shared my favourite refreshing drinks with you . Check out this blog for exotic fruit smoothies and indulgent chocolate milkshakes. They’re truly mouthwatering! As Easter is coming up, I’ve prepared an edit of the five best chocolate-inspired beauty products that every beauty lover would be so happy to receive for Easter! Keep on eye on the blog for details! I’ll also be sharing egg-specially tasty Easter baking recipes to keep the kids entertained during the school holidays. Stay tuned! Oh and don’t forget, you can read this blog to find an organised Easter Egg Hunt near you. The little ones are going to love it! Like every month, we’ll be hosting a Facebook Live giveaway and offering you the chance to win an amazing prize bundle. It’ll include products from the brands featured in our ‘Fruity or Floral’ edits. All you need to do is comment and like the Facebook Live on the 15th of April at 7pm. To celebrate spring, I’ve put together a makeup haul that is perfect for these warmer months. From my favourite mascara to an amazing eyeshadow palette, check out my top makeup picks on Thursday 25th of April. I’ll be giving you the chance to win my entire haul! We’ve just added a range of unmissable offers to the GLOSSY Lounge! Log into your account to enjoy the VIP experience and make the most of exclusive deals from Beauty PRO, Slip, Myprotein and more. Over 160 thousand beauty lovers tuned into our Facebook Live last month. Join us again for our ‘Fruity or Floral’ edition on the 15th of April at 7pm. As always, our beauty team will be providing insider tips and tricks about your products. Don’t miss out! Our April ‘Fruity or Floral’ edit is filled with 5 must-have products, as well as an extra treat! Don’t miss out, subscribe now.